This beautiful creature is the product of many generations of selective breeding. It is by no mistake at all that Radar is an outstanding hunter/family pet. 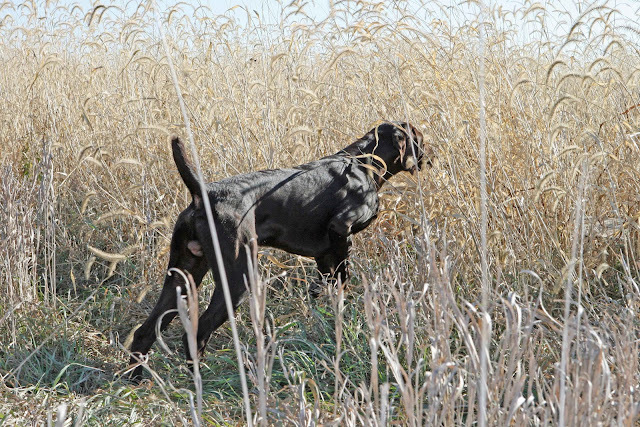 His hunting pedigree overflows with some of the highest titled dogs in the nation. The Versatile Champion is the highest level of achievement any hunting dog can have in America. When you breed an A+ hunting dog to an A+ hunting dog, it's no magic, fuzzy numbers, or over exaggeration that you have an A+ puppy. That's our Radar! Radar's sire, Int'l CH VC Sharp Shooters Let'er Rip NA UT IT PASS, and dam, VC Indian Brook's Espresso MH NA UT IT PASS, are both NAVHDAVersatile Champions. The test, only takes place once a year and is by invitation only. The requirements of this test far surpasses that of Master Hunter. 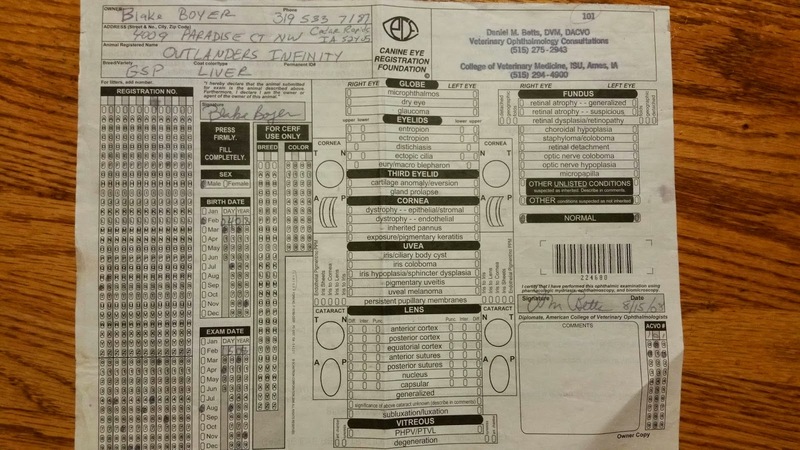 Radar has 9 VC titled dogs in his pedigree, 11 Master Hunters, and 25 other proven hunting dogs. He completes 3 generations of 100% titled hunters, 4 with the exclusion of 1 dog. 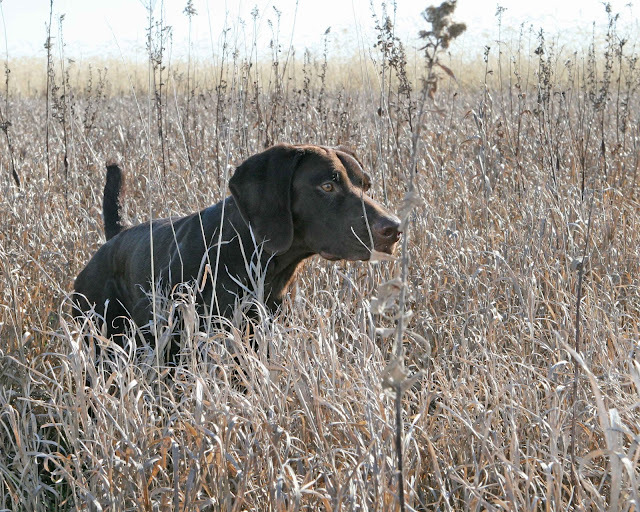 If you're looking for an amazing hunting companion, only chose a puppy with proven genetics to be a hunter. 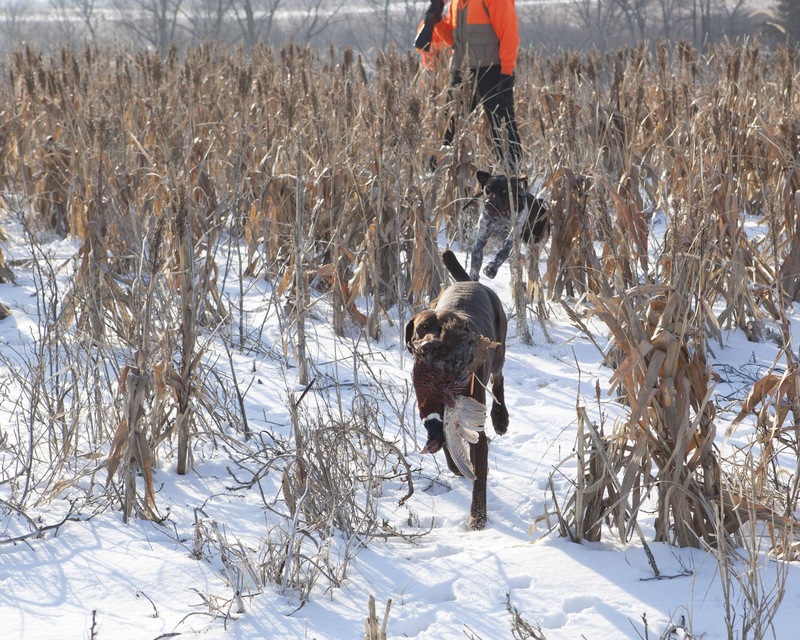 Do not take the risk of buying a GSP who can't hunt! Radar's field trainer describes him as "joe cool". Very fitting description! With his previous owners he was a guide dog for guided hunts. Here's what his trainer has to say about his field work: His personality is so much fun, he is always doing something that makes me smile every day. He loves to hunt and was very easy to train, wanting to please you all the time, a very attentive dog. 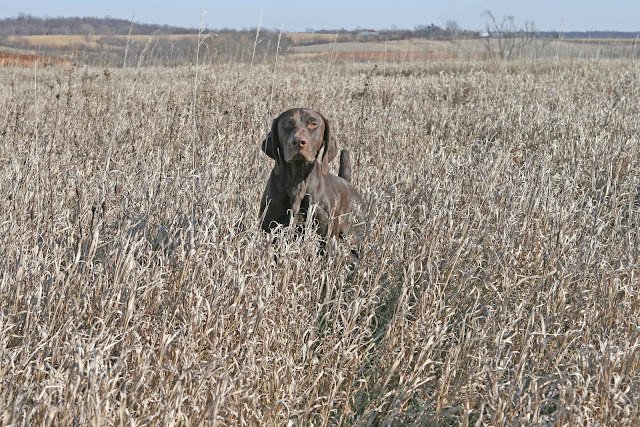 I love to run him in the heaviest of cover, he has no problem busting through and is great at finding the birds. He covers a lot of ground, but is always within range. He loves to retrieve and shows off a little when he does, but this is just Finn. He loves to put on a show for his master. In the house, he is very well mannered, loves strangers, other dogs, babies and children. He has a stunning coat, conformation, and muscular hind quarters to run the field. We are so thrilled that Katy, TX will be his permanent home with us! Radar was a guide dog for the Aiming For A Cure Hunt/Fundraiser. He's pictured here back row center being held by his trainer's son.